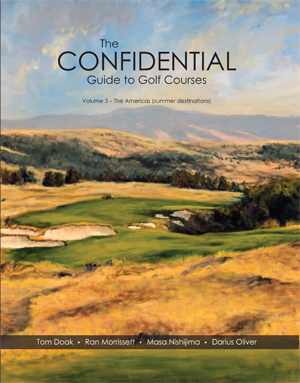 Purchase Volume 3 of The Confidential Guide for just $60 (incl P&H), and receive a free copy of Planet Golf USA. Only available for a limited time - and only for delivery within Australia. The Confidential Guide Volume 3 features North & South America (Summer Destinations). The Confidential Guide Vol 3 + Free Copy of PLANET GOLF USA for just $60. Offer 2 - Purchase two Copies of Planet Golf USA for $60 (Save $20).